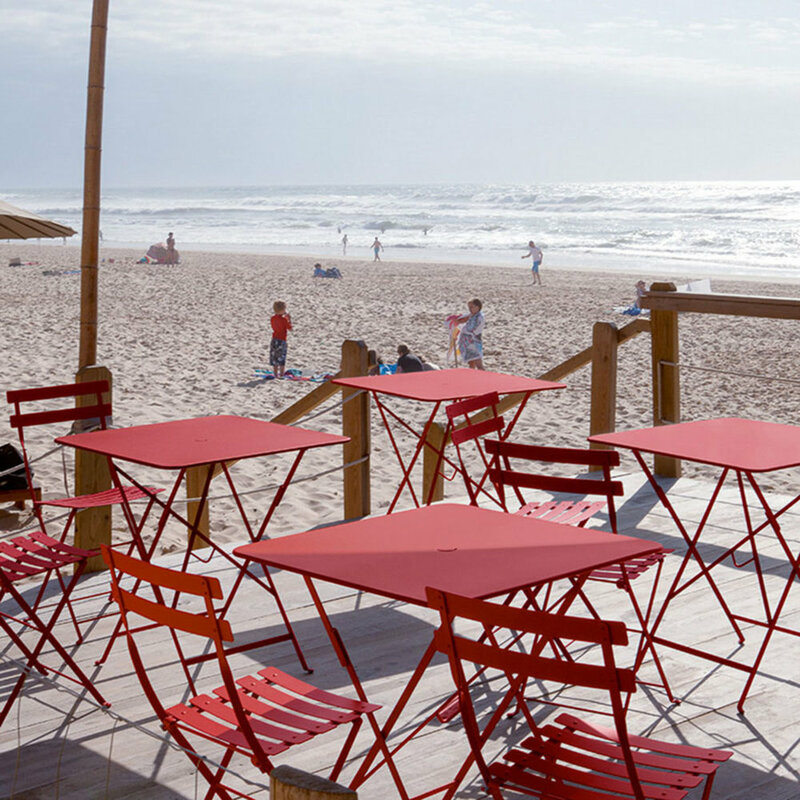 * Contact us directly for all Fermob purchases. 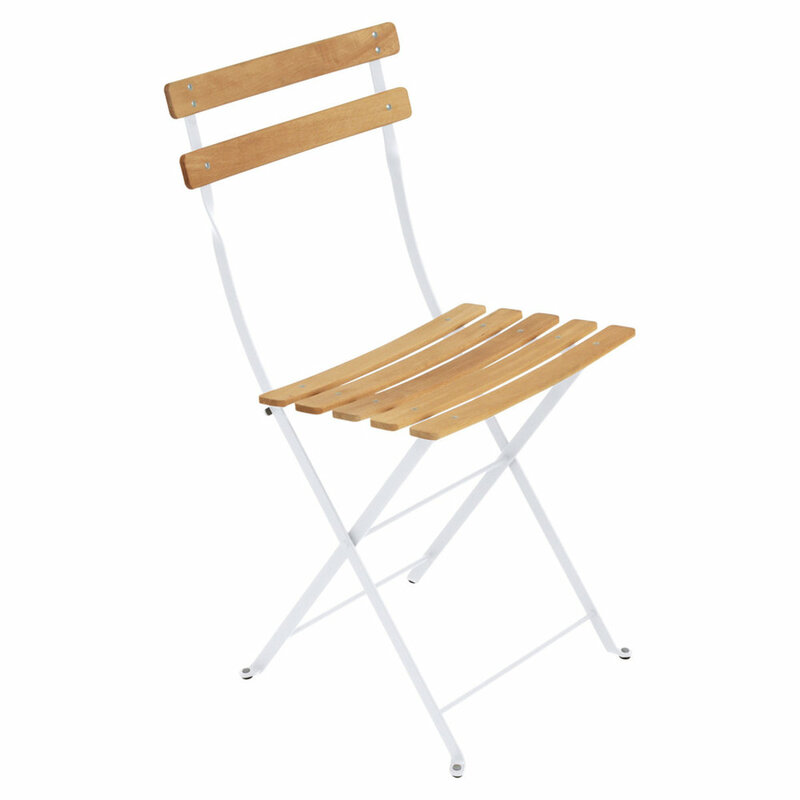 This metal Bistro chair with curved slats is made of lacquered steel. The folding bistro chair is ideal for patios, balconies and small spaces as the furniture can be easily moved around and quickly folded and stored away. 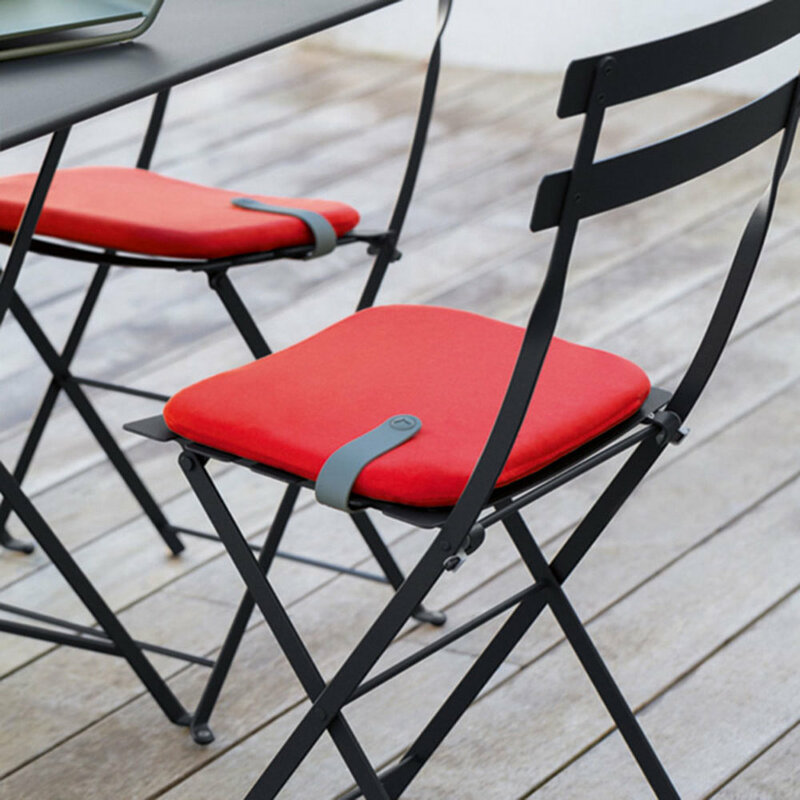 Complete your Bistro set with our Bistro folding table. 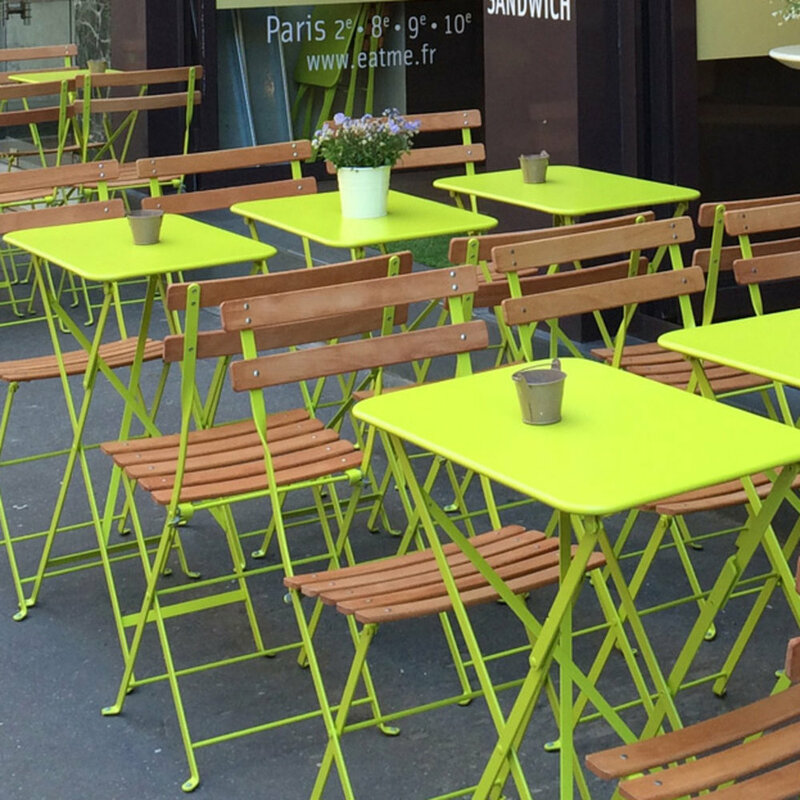 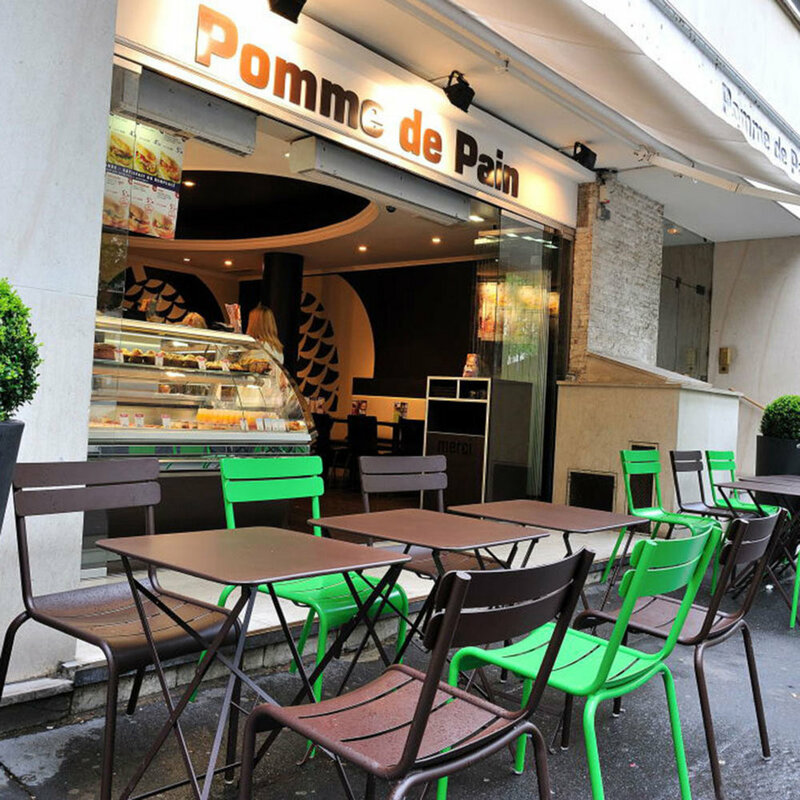 Fermob's French bistro furniture is also a fit for all of your small space and apartment needs. 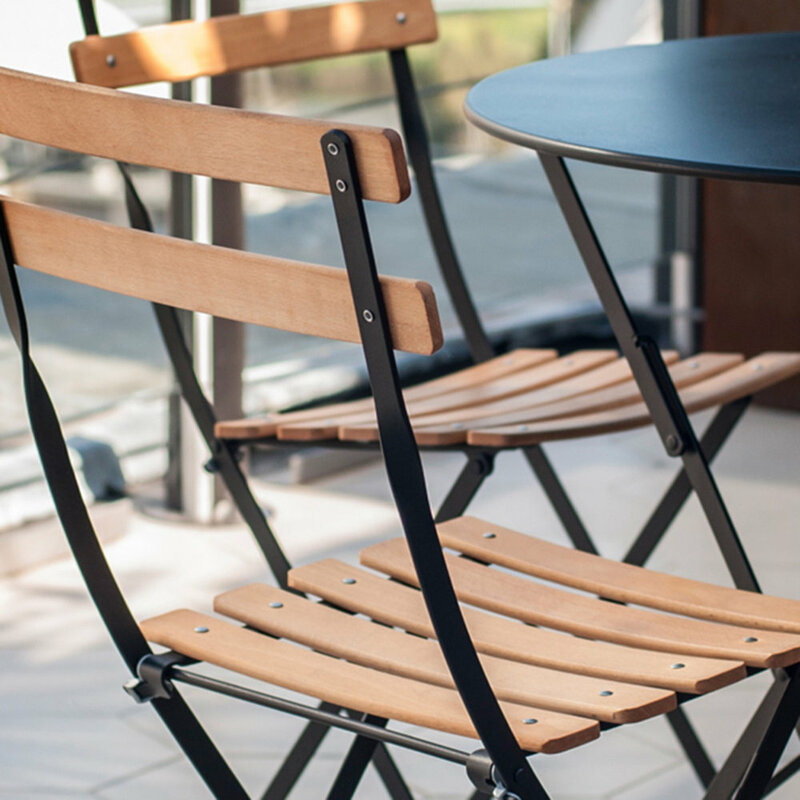 The folding Bistro Naturel chair's frame is made of lacquered steel and the seat has natural curved beech slats treated with TEXTROL®. 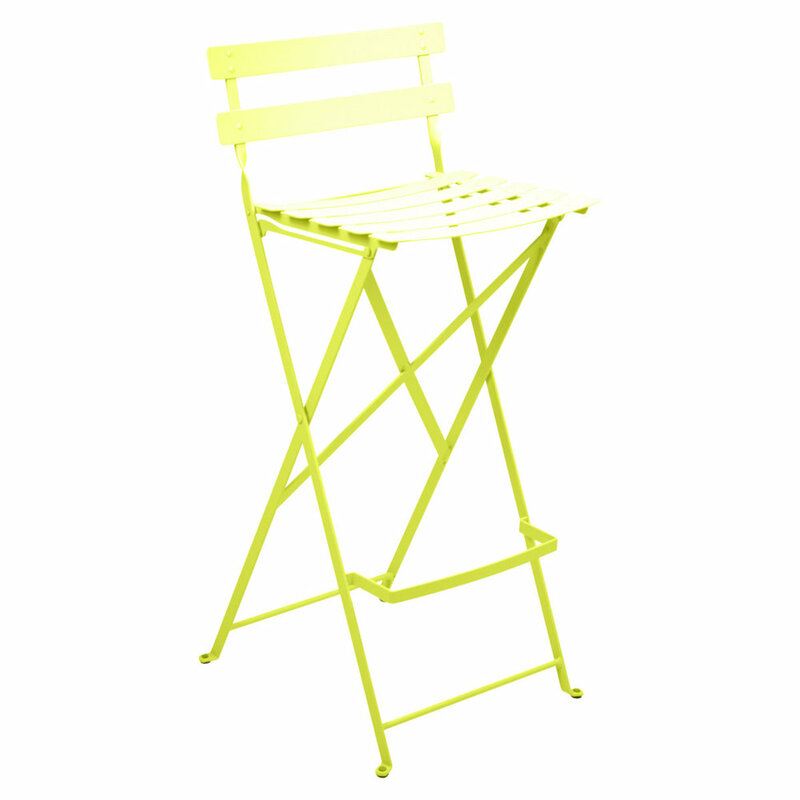 The Bistro High Stool is made of lacquered steel. 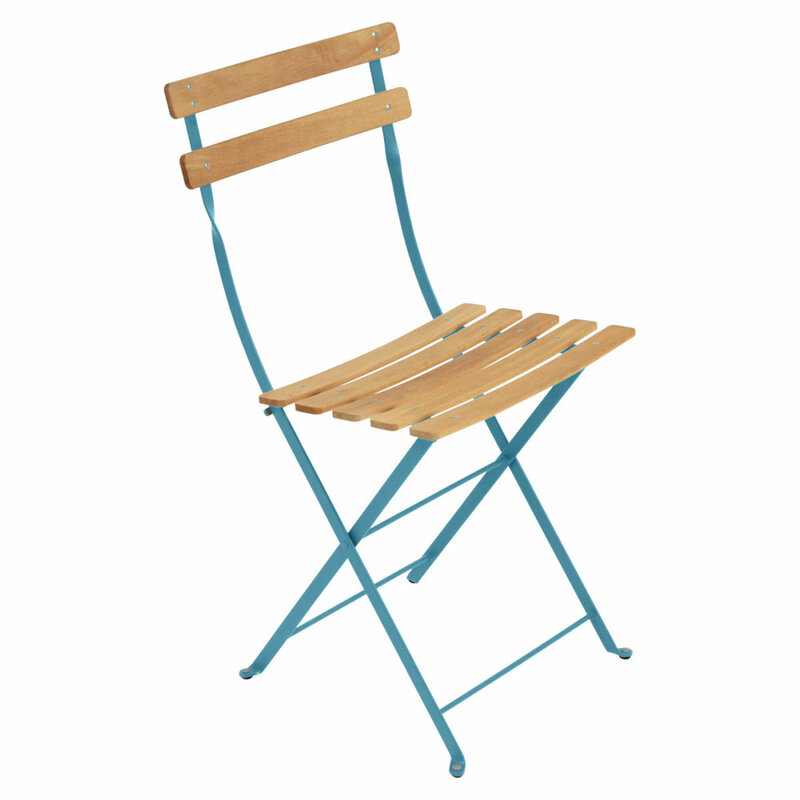 The high Bistro bar stool folds and includes galvanised steel curved slats and a foot rest. 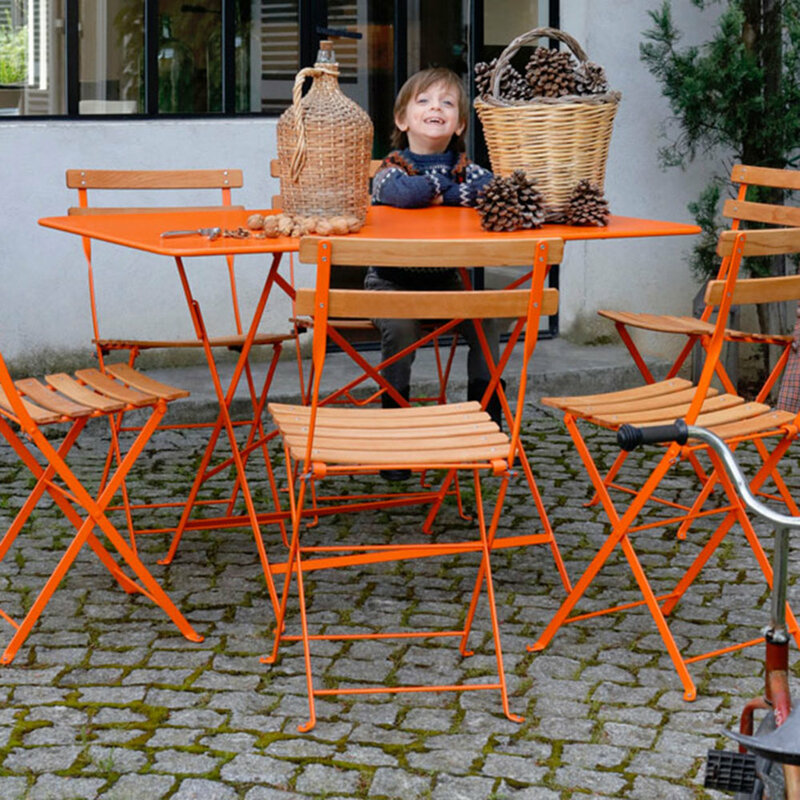 The stool pairs perfectly with the Bistro Folding High Table for outdoor patios. 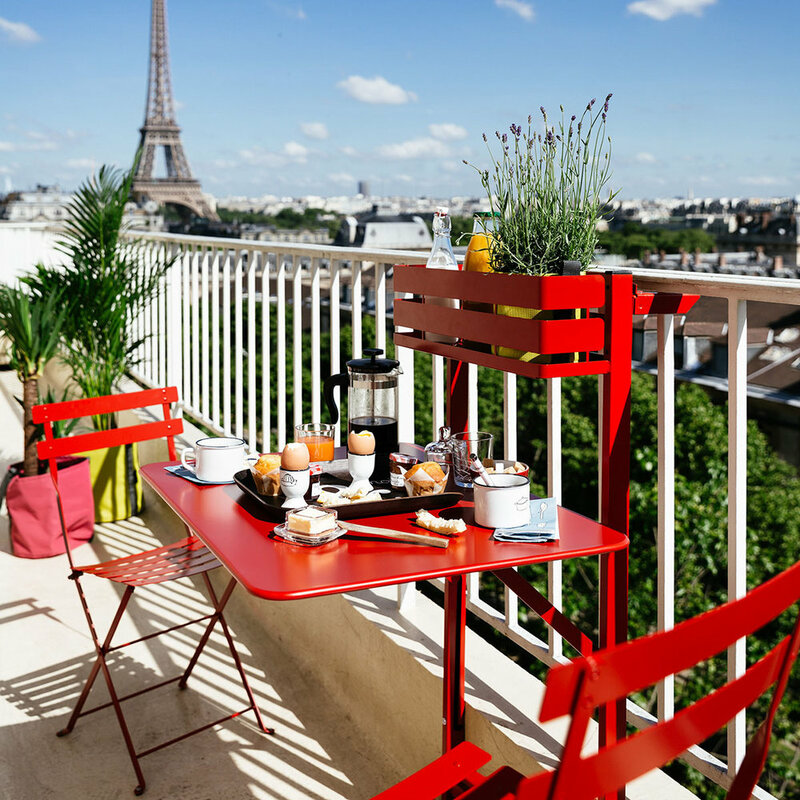 The Bistro Folding Chaise Lounge is made of lacquered steel and has a cataphoresis finish, which is a very high protection treatment that makes it good for outdoor use. 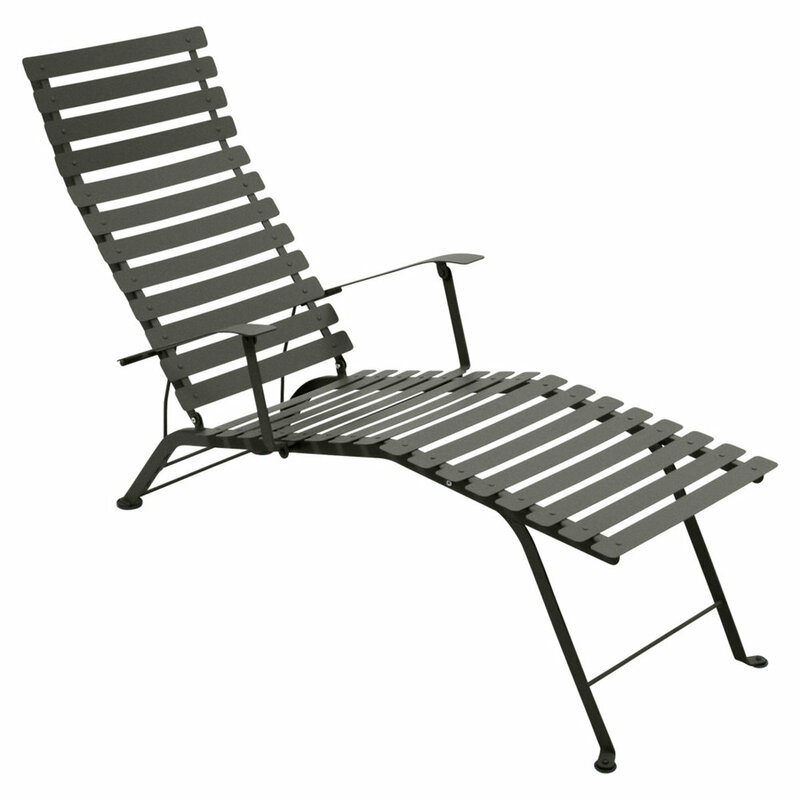 It has curved slats and an adjustable backrest with three positions. 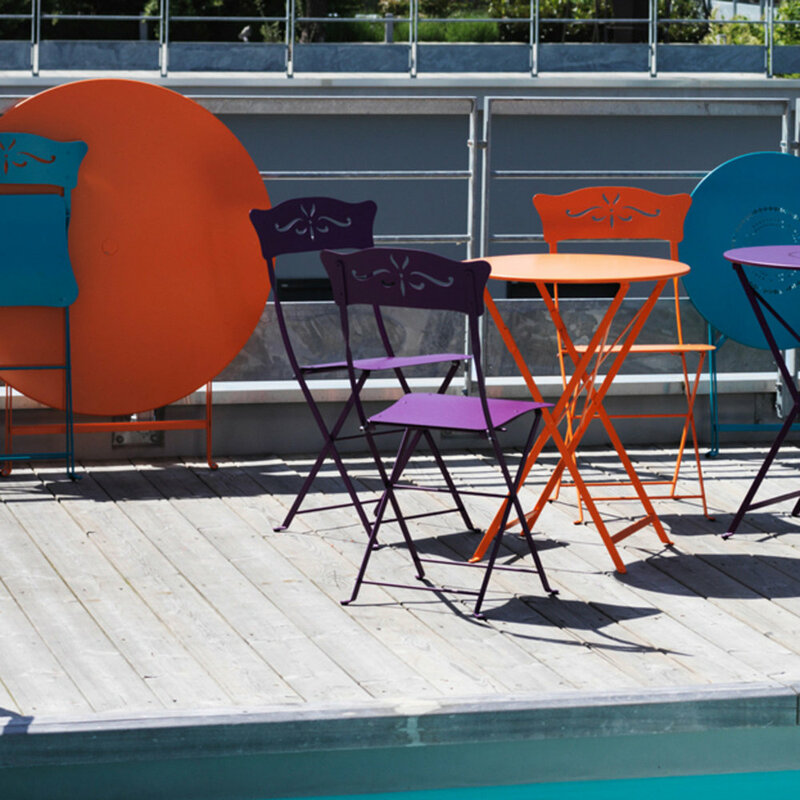 The round folding Bistro Table is made of lacquered steel and has no parasol hole. 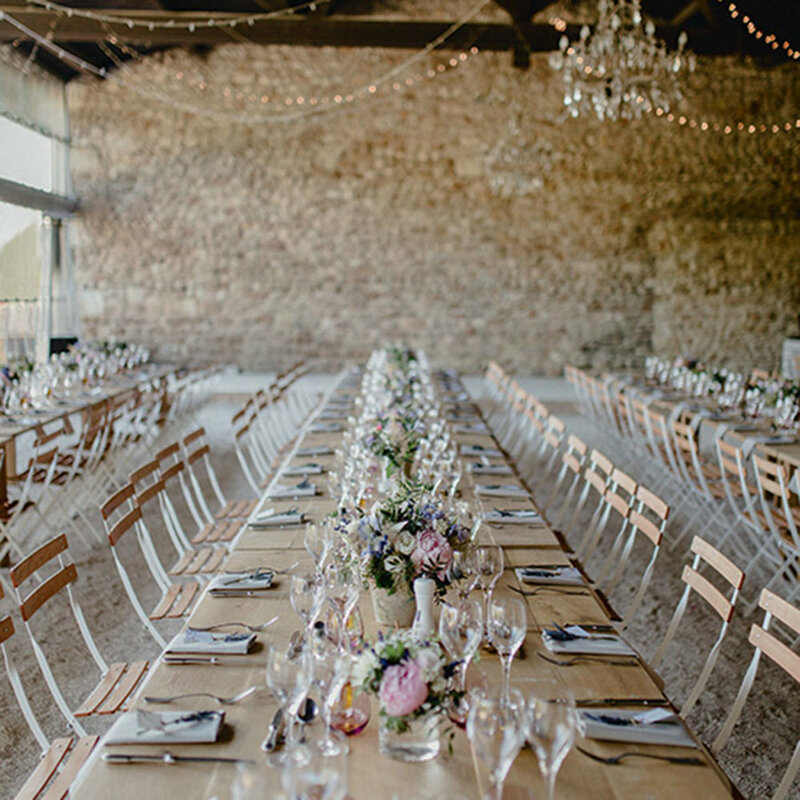 The table was created in the 19th century in Europe and has found its way to the US. 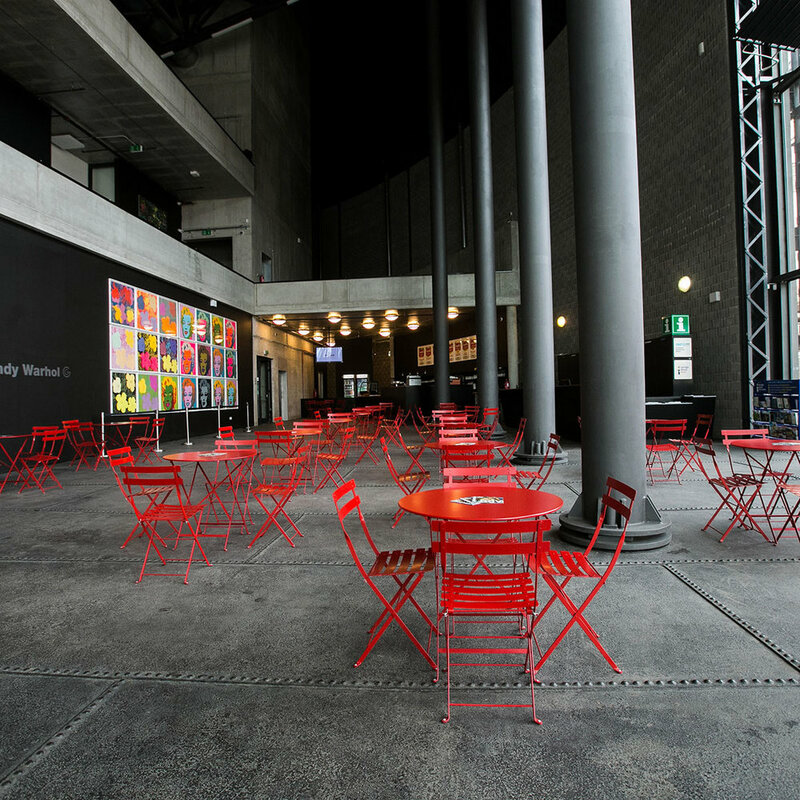 Seats two to three people for drinks. 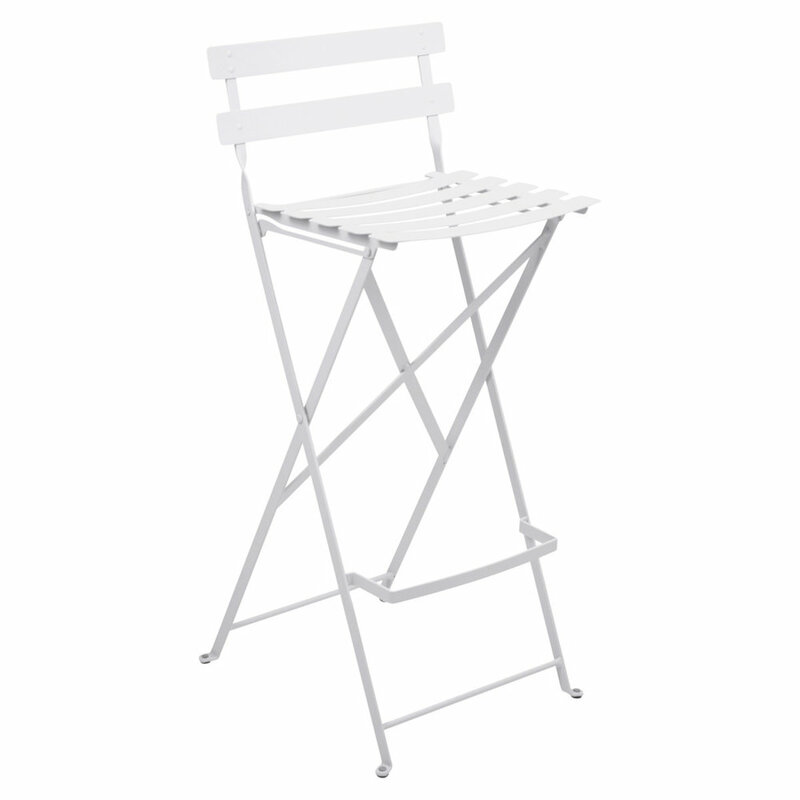 Comes in four sizes 24", 30", 38" and 46"
The folding Bistro table is made of lacquered steel. 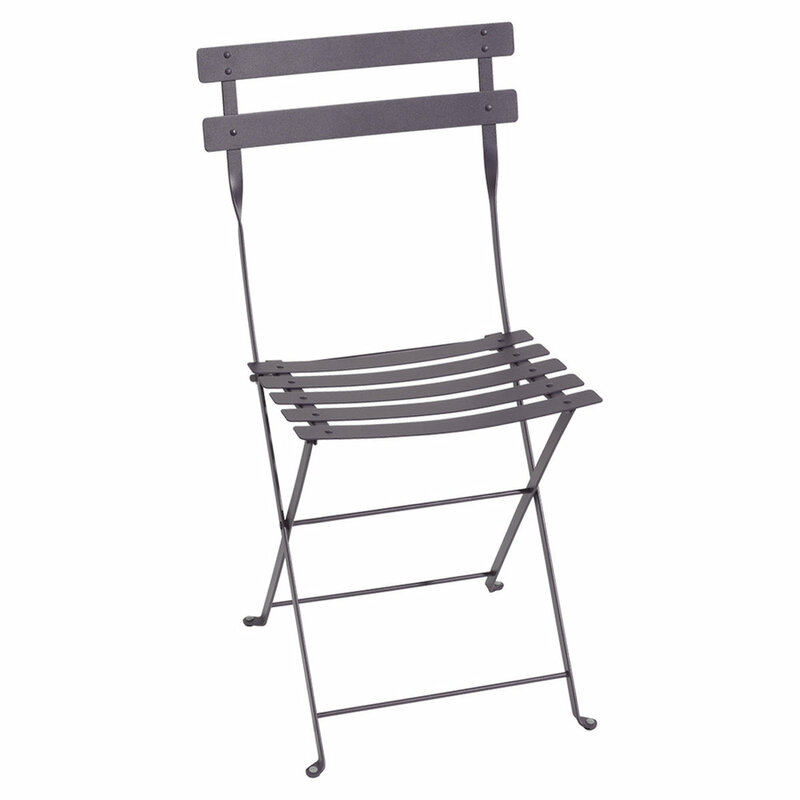 Comes in three sizes 15"x22", 22"x22" and 28"28.